Manual batch import is described in FEDORA_HOME/docs/userdocs/client/batch/batchtool.doc or http://fedora.info/download/2.2.1/userdocs//client/batch/batchtool.doc . With fedora-admin it is possible to create a batch of digital objects, to ingest such a batch or to do both combined . To create a batch of digital objects a general template with data common to all objects of the batch is needed. This must be a Fedora METS or a Fedora FOXML XML document. The object-specific substitutions have to be in separate XML documents. There are demo files for mets-template, foxml-template (foxml-template.xml) and object-specifics (e.g. americanacademy.xml) in FEDORA_HOME/client/demo/batch-demo. For a simple test I made a copy of the foxml-template.xml and 4 copies of one example of the object-specific documents. The example batch was intended to contain 4 objects with 3 datastreams in each object: "DC" (Dublin Core metadata, here dc:title and dc:identifier), "RELS-EXT" for metadata for the resource index(k2n:ScientificName, k2n:Country and k2n:Url) and "Image" as externally referenced image/jpeg file. There is also a disseminator with the same bDef and bMech for all objects. In this test I used the bdef "demo:27" and the bMech "demo:28" which belong to the demos delivered with Fedora and use a Java servlet "ImageManipulation" also delivered with Fedora. In the copies of the example files, one can delete all the datastream elements which are not needed and fill in the data for the needed elements, e.g. the content of the DC and RELS-EXT datastreams and the external link for the Image are provided by each object-specific file. The objects are created with fedora-admin Tools -> Batch -> BuildBatch. In the window which opens, one has to enter the template file, an input directory containing all and only the object-specific files, an output directory to hold all and only the created object files and a file path of own choice for object processing map (output file), a file which maps object-specs to objects built. After successful building of the objects, they can be ingested with Tools -> Batch -> IngestBatch. The example 1 with the title "Flowers of Silene italica" is not included in the result because it has no ScientificName element. It seems, however, that there are no wildcards in itql, so that a query for "k2n:ScientificName starts with 'GenusName'" might not be possible. 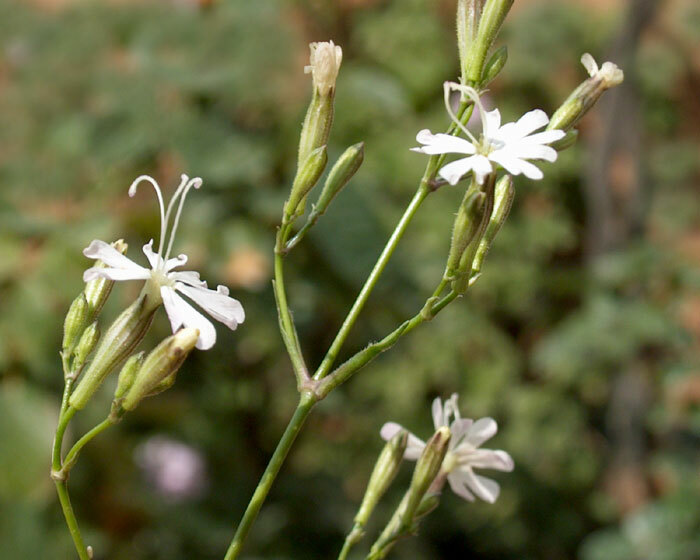 ScientificName : "Silene italica" URL : "http://www.funghiitaliani.it/uploads/post-5-1141817448.jpg"
ScientificName : "Silene italica" URL : "http://flora.nhm-wien.ac.at/Bilder-Thumbnails/Silene-italica.jpg"
returns those objects whose ScientificName starts with "Silene" or whose title contains "silene" (case insensitive). For such a query it is necessary that the RELS-EXT of those objects without a ScientificName contains an empty tag: <k2n:ScientificName/>, otherwise they are not included in the result. This page was last modified on 19 January 2010, at 15:19.